That’s a clever way of cooking with yoghurt as it can split so easily. Not that I really care about that! I’ll eat it anyway. :) And a really good way of making a sauce. I’ve made the mushroom and pea spiced dry curry tonight, and should’ve done something similar with the crème fraiche used instead of yoghurt. I’ll try your technique tomorrow for lunch. Haven’t been disappointed yet by any creations of this talented duo. Always find their recipes surprising but delicious. This is a new to me discovery and looking forward to trying it! This sounds amazing! The combination of chili oil with yogurt. Oh! Yes! it’s really good! Give it a go, it’s creamy, light and a wonderful combination. Thanks for stopping in! Andean Dream – Now that is a brand name. Lovely dish. Wow, would never have thought to use yoghurt in a pasta sauce, but can imagine that it would add such a lovely tang to the flavour… and mixed in with all the other ingredients, must be absolutely luscious! Such a pretty shade of green too… :) Enjoy your weekend Seana! I’ve made this Ottolenghi recipe before and love it. I haven’t made it in a while, but now that the season of fresh peas is finally here, I might just have to make it for myself again! 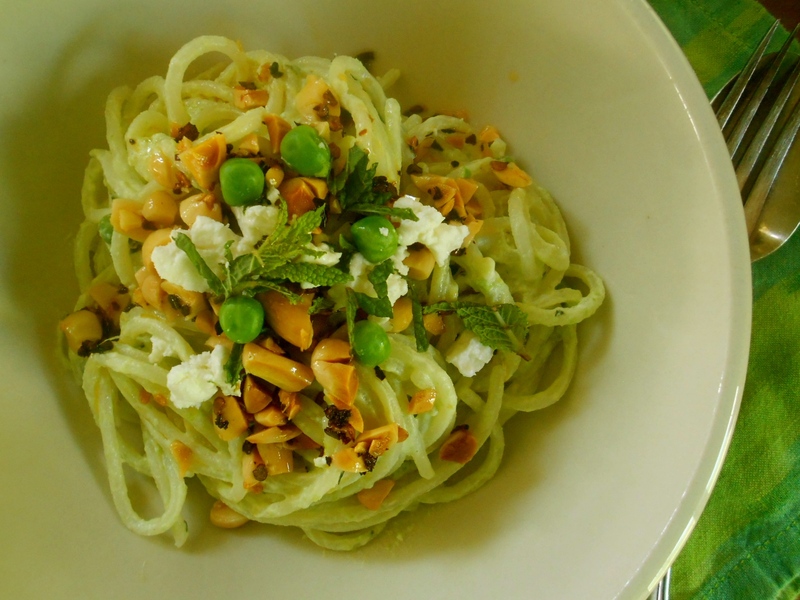 Exactly my thought when I saw the peas in the market last week…Ottolenghi pea pasta recipe! It’s wonderful and I’m glad you love it too Darya. What an interesting recipe Seana! Love it! Awesome party going on, check out some of the great recipes! I adore everything and anything Ottolenghi and was lucky enough to hear Yotam speak here in Sydney last year. Talented, inspiring and so generous with his ideas. Love your take on this pasta sauce Seana and so pleased to know you’re inspired by Ottolenghi too. I do too. I love Ottolenghi recipes and can not imagine why I have not picked up a copy of Plenty or Plenty More. I would love to see him and hear him speak! How inspiring. Come to think of it I think I will head to the bookshop today and pick up a copy. I could use a good dose of Ottolenghi inspiration! I can absolutely recommend Plenty More. So may amazing ways with vegetables. This sounds really lovely – and I’m always delighted to be introduced to another Ottolenghi recipe. Oh good… I hope you like the quinoa pasta. I bought some macaroni shaped quinoa pasta the other day for a salad and it was fantastic! I really like the flavor and consistency. Yay! Thanks – I’ll let you know how it goes! :) I know….seems unlikely to have yogurt as a pasta sauce but it’s really good…and using yogurt in place of heavy cream is a great idea! This is such an interesting pasta dish. I love that it has pine nuts, and chili flakes in it. I’m so glad to find out about the quinoa noodles. I had never heard of them, but will look for them the next time I am at the grocery store. Thanks for opening my eyes to new flavor combinations! I think you’ll like the quinoa noodles Shari. Nice to find a gluten free alternative for pasta! Especially for me. I could eat pasta every night but don’t need to eat grains of this sort that often. Hope you give it a try…it;s really nice. Yes..seriously fabulous. :) Thank you! I really enjoy the way you share the recipe.Explained wonderfully. Thank you so much for your kind comment! :) Thank you so much. It’s actually quite nice, hope you enjoy if you try! :) Thank you for stopping by and leaving me a comment. Intresting! I never used yogurt with pasta.. I will try, this sounds delicious! Wow this sounds absolutely fantastic- would love to come over to your house for dinner :) The yogurt idea is genius! Wouldn’t it be so fun to be able to meet up and share some meals with our blogging friends? Imagine how delicious that would be! Ottolenghi’s ideas are brilliant! Well I am quite the quinoa fan- so maybe I’ll give these a go. And why not yogurt? I think it’s a fine thing for pasta- esp a greek yogurt and esp if it’s full fat. I’ve been making yogurt with whole raw milk- it’s like the brown cow yogurt with cream on top. delish. And I love peas- and would maybe toss some pea shoots in there as well. I love brown cow yogurt with the cream on top, we buy it too. Pea shoots would be fabulous in this pasta. Now I want to make it again with pea shoots! And always full fat when it comes to dairy… Thank you Wendy for your nice comment. I’ll be on the hunt for quinoa pasta now. 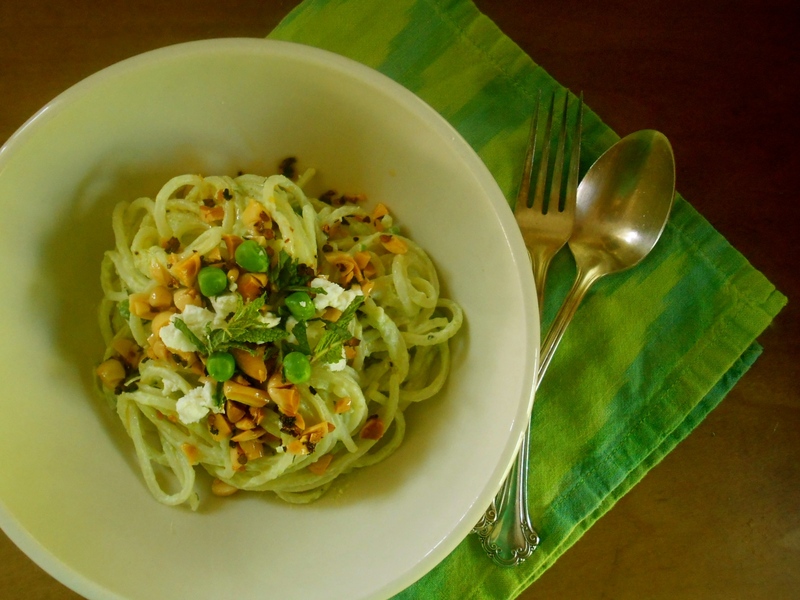 This looks so flavorful with the peas, chilli flakes, and feta. Anything with feta! I should give quinoa pasta a try. Yogurt is almost staple on every Persian meal table. I do mix yogurt to my pasta with tomato paste in its sauce. Now I am going to give it a try with this peas and chili sauce. Yum! You are currently reading pasta with yogurt, peas and chili oil at COTTAGE GROVE HOUSE.